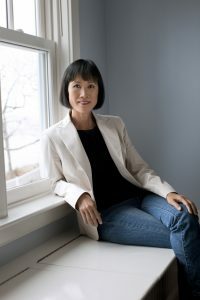 2019 Read ME recommending Maine author Tess Gerritsen. Read ME is a statewide summer reading program that gets Maine adults all reading two books recommended by a well-known Maine author. For 2019, recommending author Tess Gerritsen has chosen Paris Was the Place by Susan Conley and After the Eclipse: A Mother’s Murder, a Daughter’s Search by Sarah Perry. The season will culminate on August 29 with an episode of Maine Calling, aired in front of a live audience at Bangor Public Library. An invoice will be mailed to you after the order is placed. Books will cost $10.00 each. An invoice will be mailed to you after the order is placed. Books will cost $9.00 each.